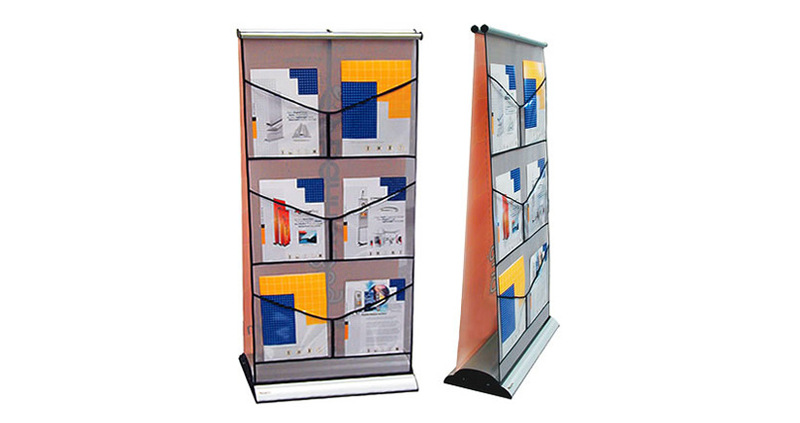 This sleek, lightweight unit features both a banner to display your key branding messages and a brochure display for more detailed information. Each of the six pockets will hold up to 50 pieces of standard A4 paper, so you won’t have to top them up often. 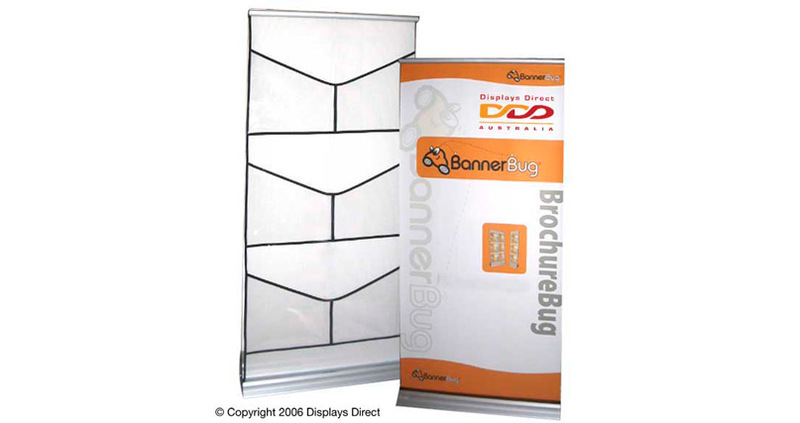 The unit features a brushed aluminium finish and comes with a well-padded carry case for convenient storage and transportation – much like our Banner Bug pull-banner does. All of our banners come complete with A-grade graphics, which are digitally printed at high resolution right here in Australia. We use only high resolution JetPrint for our graphics, ensuring a durable finish with vibrant colours that will last. What is the size of the stand? 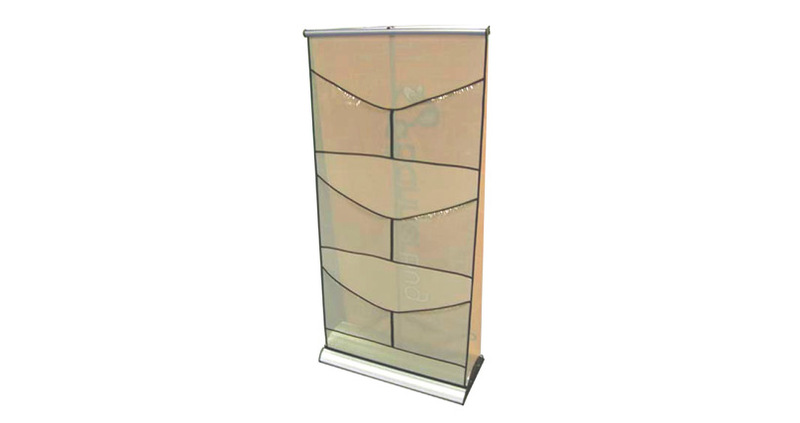 The stand is approximately 1200mm high x 580mm wide. This compact design makes it ideal for shopping centres and other locations with height restrictions.